Afternoon friends!! Today I am sharing a super simple recipe for you all. This is one we have been enjoying this summer, especially when temperatures are high and you don't want to turn on that oven. Today's ice box cake was one the kids could help me assemble and then we all enjoyed. It was so dang yummy! 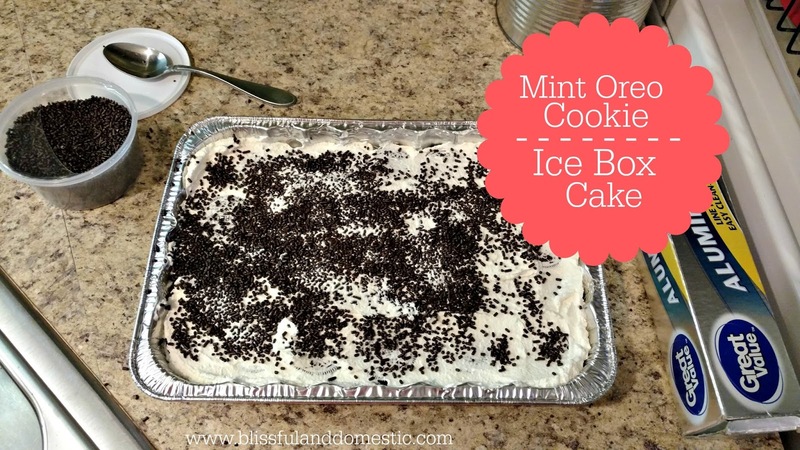 In a 9x13 pan, alternate with layers of cookies and whipped cream topping. Break up cookies to completely cover each layer of cookies. 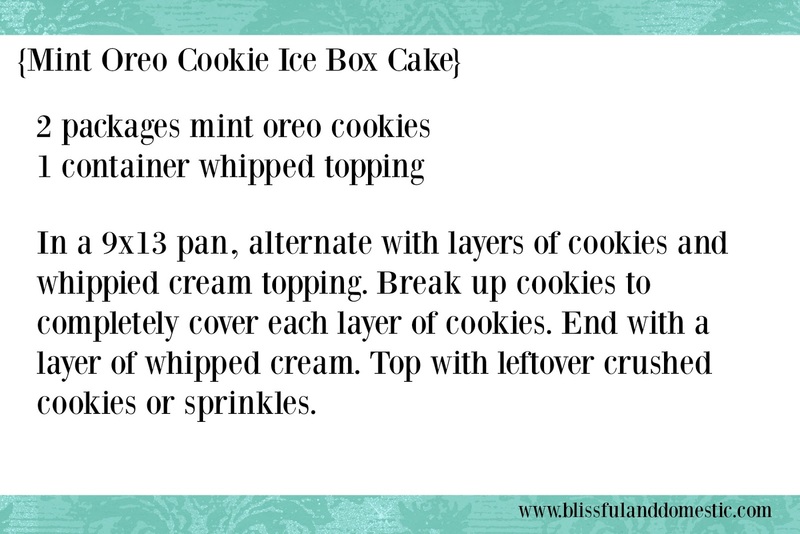 End with a layer of whipped cream. 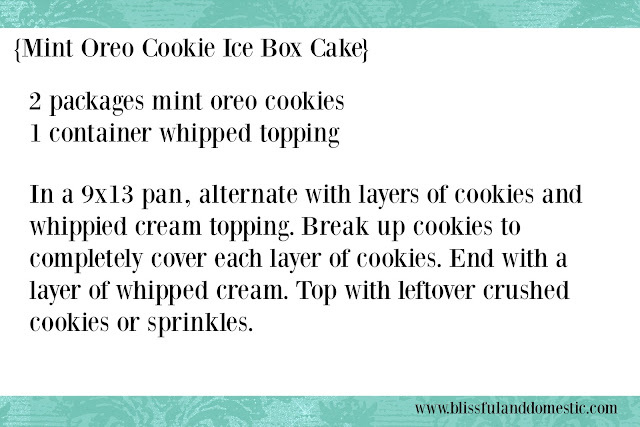 Top with leftover crushed cookies or sprinkles. I make a similar dessert. Take crunchy chips-a-hoy (or equavalent) chocolate chip cookies. Dip each cooking in milk and put in a single layer in a dish. Layer with cool whip. Repeat steps. Cover and freeze. Let thaw a few minutes before serving. Excellent! ok chips ahoy are going on my grocery list for next month. That sounds amazing!